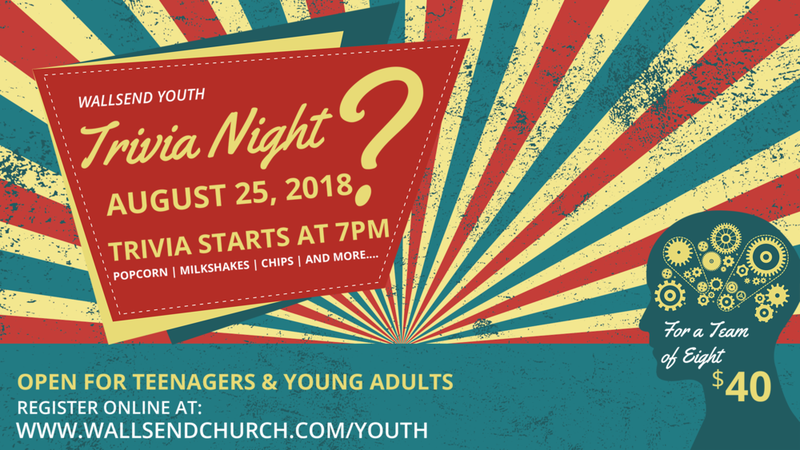 Get your friends together and challenge the rest of the youth to an intense night full of trivia, with multiple categories such as entertainment, history, geography, art, science and more! There will also be a variety of snacks and drinks vailable to purchase including popcorn, hot chips, wedges, milkshakes and soft drinks. Please bring your team’s $40 to the door on the night of the event. Register your team and pay $40 for 8 people, or pay $5 at the door and we will assign you a team.